Jedox Marketplace is a digital showcase for Enterprise Performance Management solutions created on the Jedox software platform. It offers pre-built planning, analytics, and reporting applications for every industry and line of business for demo, free trial, and in-production deployment. You can individually adapt, configure, and integrate these applications to design a tailored solution. Note to administrators: the Jedox installation needs a valid certificate to properly communicate with the Marketplace. 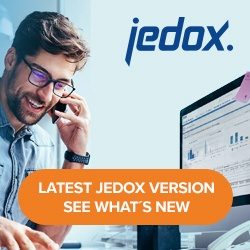 Among the offerings at the Marketplace are Jedox Models: an array of pre-built applications designed for Jedox, by Jedox. They are modular components that work together seamlessly to offer a integrated Enterprise Planning solution. The Jedox Marketplace can be accessed directly from the Jedox website and in Jedox Web. The Marketplace applications can be searched by department, industry, or provider. Hover your mouse over an application to read about it. Click on an application for more details and download options.